Yup! That’s right. 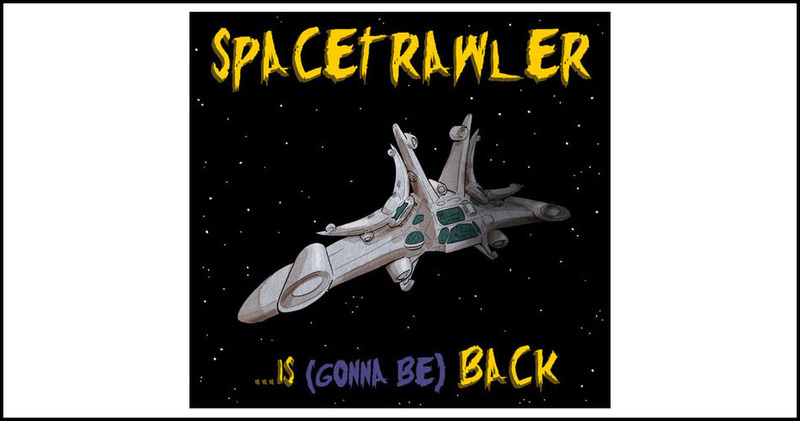 All new adventures of the comic, “Spacetrawler” will begin in September. Anna Galactic ends sometime in August/September, and then I’ll switch over to Spacetrawler. There will likely be some overlap, and my best guess is that Spacetrawler will begin the first week of September. And helping bring about this is the generous support of many of you through Patreon! Please, follow that link and help out in bringing back all the awesomeness. Also, my weekly Patreon blog will include Spacetrawler development drawings and blather! You can unlock it to read it by helping out too, by contributing over on my Patreon page. Dood. So, so fooking stoked. Seriously, though I have about 30 webcomics on my RSS feed, and Spacetrawler was one of those saved for the last when a new page went up. Missed it once gone. You are a funny MF, and you so rarely see good humor in Sci-Fi. SF authors / artists usually take their story way too seriously. I guess for so many years the greater public didn’t take SF seriously, so the creators are a bit, um…sensitive. This is AWESOME news. I’m so glad I’m too lazy to clean our my RSS feeds or I might have missed it! ???? Woah, somehow I didn’t even know about Anna Galactic! I had Yontengu bookmarked to check on later, guess it’s probably time to do that too. Comics ahoy! Will this be another complete story like the first two “Spacetrawler” yarns, or a never-ending serial like the old “Flash Gordon” strip? Will this be a new crew in the same universe? Follow some of the old characters beyond their epilogue stories? Deal with some stories left out of the original storyline? I’m looking forward to it! I hope we get to see Dmitri’s baby, perhaps grown up a bit. Whoa I just happened to stumble onto this after not looking up anything Spacetrawler in over three years! Excited to start reading.